The big question on China: "I think there's a question, perhaps even in the minds of the Chinese: How will the American people, the Chinese people, live with each other in this world for the next half century?" Denied cutting short his meeting with the South Koreans: "They never invited us for dinner, then at the last minute they realized that optically it wasn't playing very well in public for them, so they put out a statement that we didn't have dinner because I was tired." On Trump's North Korea tweet, which said: "North Koreans are behaving badly and China has done little to help." 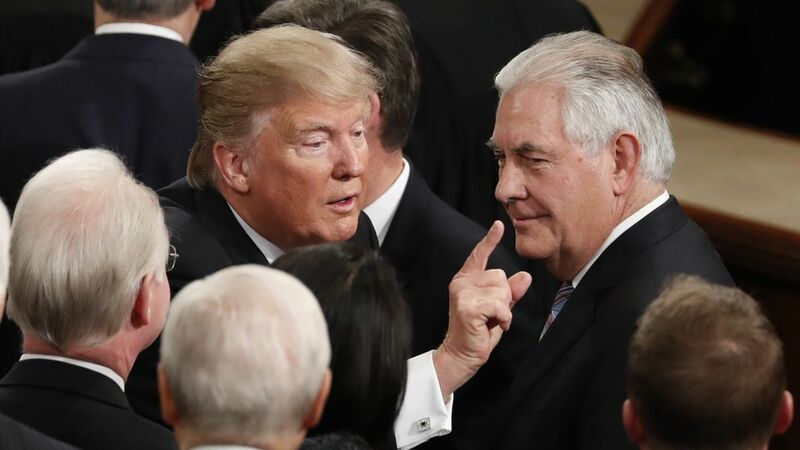 Tillerson said it came without warning, but was in line with their private conversations. Defended his decision to only take one reporter (McPike) on his plane: "[W]e're trying to save money ... and we're going to destinations that, by and large, the media outlets have significant presence already... I spend my time working on this airplane. The entire time we're in the air, I'm working."